We recognise that this event will occur on unceded Kanien’kehá:ka territory. Last december, Enbridge’s Line 9 pipeline went online (again). Since then, heavy and/or volatile oil products have been flowing eastward in this 40-year old, cracked-all-over pipeline, which crosses many waterways that are critical for “Canada”’s most densely populated area’s drinking water. A single spill from that pipeline has the potential to paralyze almost all of Montreal’s pumping stations, leaving the city with insignificant reserves. 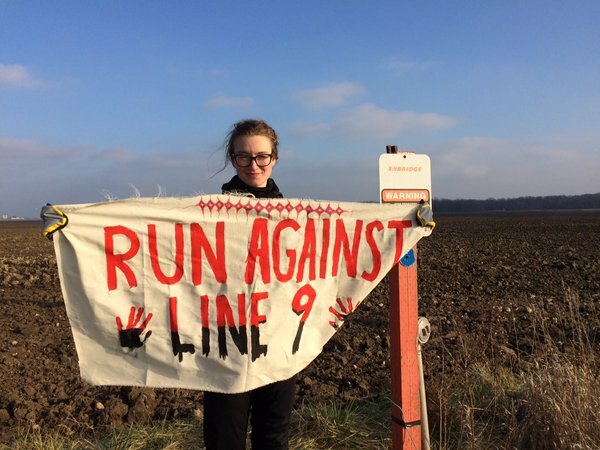 Despite calls to reason, the outcry of municipalities that haven’t received any emergency plan, vivid grassroots resistance including direct action – which left some activists with absurdely heavy charges – and the efforts of native communities who are the most impacted, Line 9 is still online to this day. To boost the collective memory and energy in face of that harsh reality, we invite you to a LONG symbolic walk which will start at the Suncor reffinery in Montreal-East and end at Place de la Grande-Paix-de-Montréal. 16,6 km of pure joy! Approx 4 hours and a half of walking, that is without counting breaks and lunch! Wow! Join us for the day or for parts of it, according to your capacities and availabilities! Stress that Line 9, just like the colonial project of “Canada”, is happening on stolen native land. The walk’s going to make a stop at Montreal’s botanical garden and another at parc Lafontaine – good places to join the march. There’s also going to be a stop for lunch in a place to be determined, probably near Saint-Michel/Sherbrooke (for now, tips are welcome if you think of a place). Speakers will deliver short speeches at strategic places along the way. Namely, at Montreal’s town hall, where we’ll remind the city that it can and must take position against the pipeline. The march’s also going to be an opportunity to inform and mobilize people, who’ll certainly be in jaw-dropping awe upon seeing us. There’s going to be a lot of flyers for that. We’ll have a car around, ready to bring support as needed. 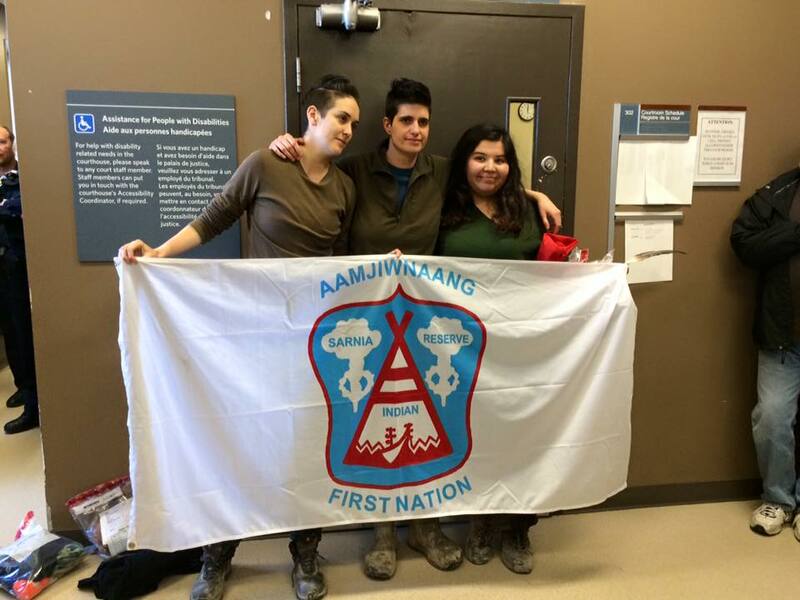 Donate to the Chippewas of the Thames’ pipeline challenge before the Supreme Court of Canada! On November 30, the Chippewas of the Thames First Nation will challenge the failure of the Crown to consult them, as required by Canada’s Constitution, before approval of the Enbridge Line 9 pipeline by the National Energy Board. Ottawa is telling the Supreme Court that aboriginal consultation means nothing more than the biased administrative routine of the Energy Board. But recent legal victories in provincial courts (Grassy Narrows FN vs. Ontario and others) confirm the Crown’s duty to consult and accommodate. A Chippewa victory on this principle will strengthen capacity to resist dangerous fossil fuel projects such as Energy East. 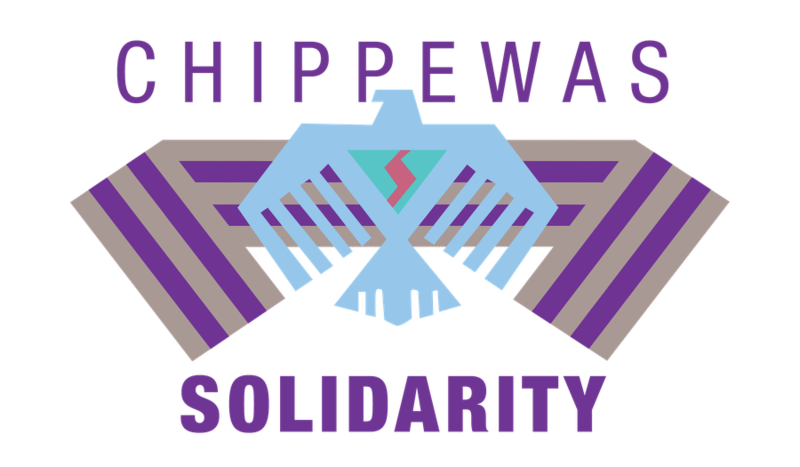 THE CHIPPEWAS OF THE THAMES ARE FIGHTING FOR US ALL! E-mail money transfer : Send to the Chippewas of the Thames First Nation: ccouchie@cottfn.com. For further information see www.cottfn.com/duty-to-consult and www.chippewassolidarity.org. 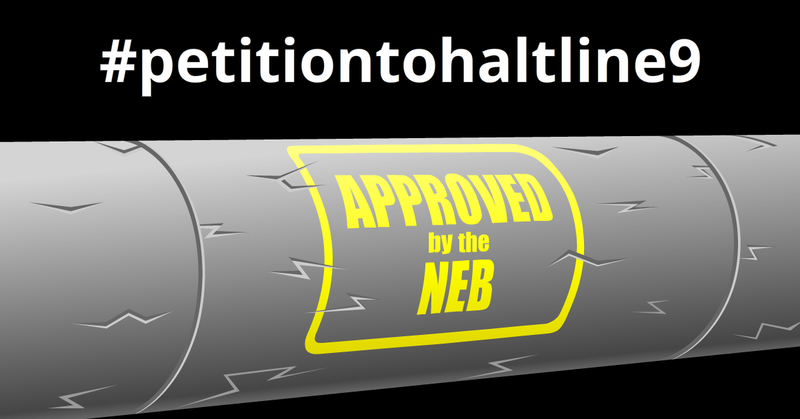 Toronto No Line 9 Network invites you to sign a petition to the Prime Minister to halt the Enbridge Line 9 Reversal project until an upgraded regulatory process is in place and a reassessment of Line 9 is completed. our hearts were bursting with love and cheer after hearing of the many times our friends have courageously shut down pipelines in recent months. so in the early hours of january 25,2016 we found our own courage and took action against enbridge and their line 9. slipping in to a valve station located on traditional Haudenosaunee Territory (in hamilton, ontario) we successfully operated an electronic valve to shut off the flow of tarsands crude. a line 7 valve, also an enbridge tarsands pipeline, was also tampered with and closed part way. we then disappeared back into the night. we took this action to stand in unity with all those who have defended the land before us, and for those who decide to take action after us. we take it to fight against an industry that puts us at risk every day and subjects frontline communities to violence upon their bodies, communities and cultures – for profit. we believe that’s worth fighting against; that those people and communities are worth fighting for. so call us what you will, but we only do what is both necessary and right. our actions hurt none, but a lack of action hurts everyone. may we all find the courage to actively resist & destroy exploitative capitalist industrial projects. ps. 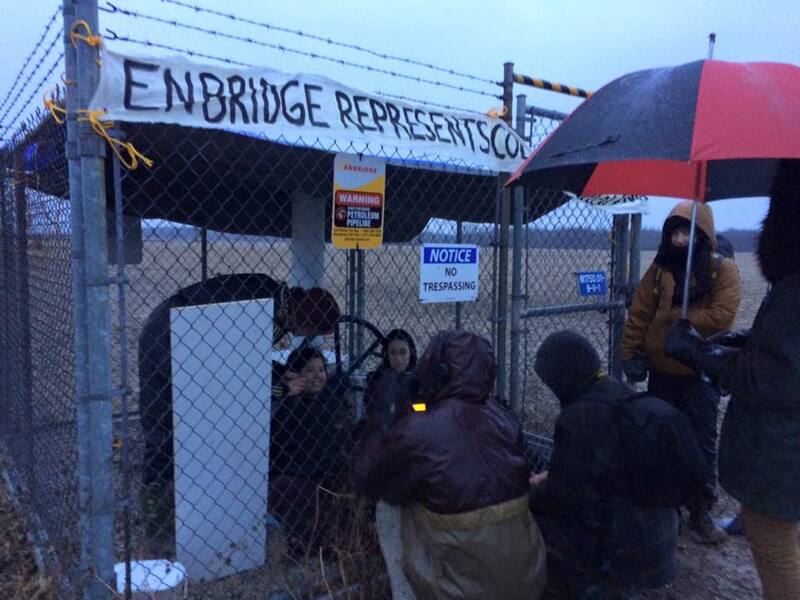 for those curious to follow in our stead – enbridge thinks they’re being all smart by putting on large gold security chains (which can’t be cut with bolt cutters) and lockboxes on the gates. bypass these by cutting the fence itself. then all you need are some garden shears (to cut the very, very secure zip tie protecting the electrical panel), your wits and an exit plan. This statement is currently endorsed by 64 groups and over 500 invidividuals. The full list of groups is at the bottom of this post. To add your voice or that of your group/organization, simply fill the form at http://tinyurl.com/line9resisters. And if you would like to make an interac transfer donation to the legal defence fund, please send it at stopline9@gmail.com and use the password: solidarity. We stand in solidarity with the people who took peaceful action to stop the flow of Enbridge’s Line 9 pipeline on the morning of December 21, 2015, on Anishnaabek territory near so-called “Sarnia.” These people, rooted in their communities and committed to environmental advocacy, organic farming, and challenging violence against women, courageously defended their communities, and all of our communities, after all legal avenues to contest the pipeline had been exhausted. The absence of valid consultation and consent from First Nations and other impacted communities, the impacts of increased tar sands exploitation that are facilitated by the operation of Line 9, the state of this forty-year-old pipeline and the lack of serious measures to ensure its secure operation are some – but not all – of the reasons to denounce the recent increase in capacity and reversal of the flow of Line 9. More than 80 organizations in southern Ontario and Quebec, impacted indigenous communities, as well as national organizations have released a statement letter to the Prime Minister condemning the recent National Energy Board (NEB) approval of Enbridge Inc’s Line 9 Reversal project. The letter demands new NEB hearings on the pipeline project. Enbridge recently confirmed through media reports that Bakken Shale oil from the west is now flowing through Line 9 to refineries in Montreal. 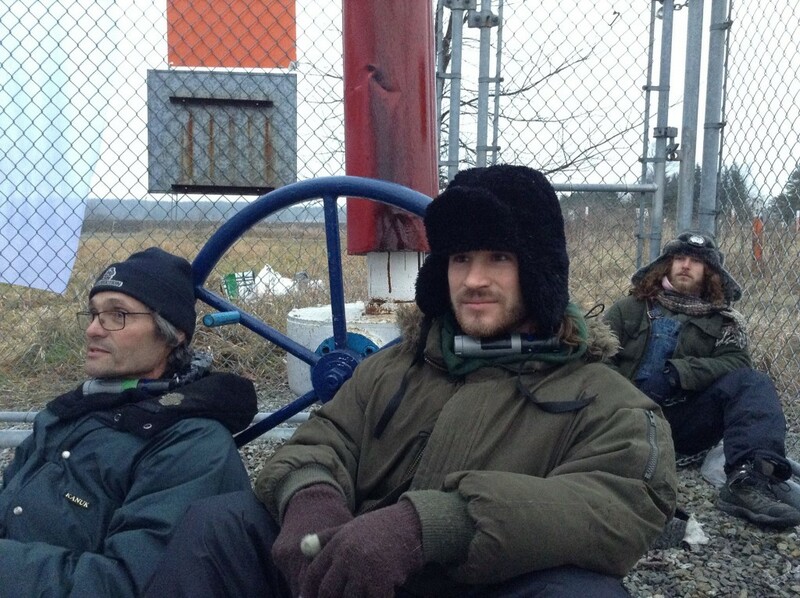 7 December 2015 (Ste-Justine-de-Newton, 21950 Morrison Road) – Concerned activists are blocking the valve of a section of the Line 9B pipeline at the border of Ontario and Quebec in order to stop the reversal of the Enbridge pipeline that has recently begun in order to bring crude oil from western Canada to Montreal. The authorization of this pipeline, contrary to popular opposition against tar sands and promises from the new federal government to replace the evaluation process for pipeline projects, is unacceptable. 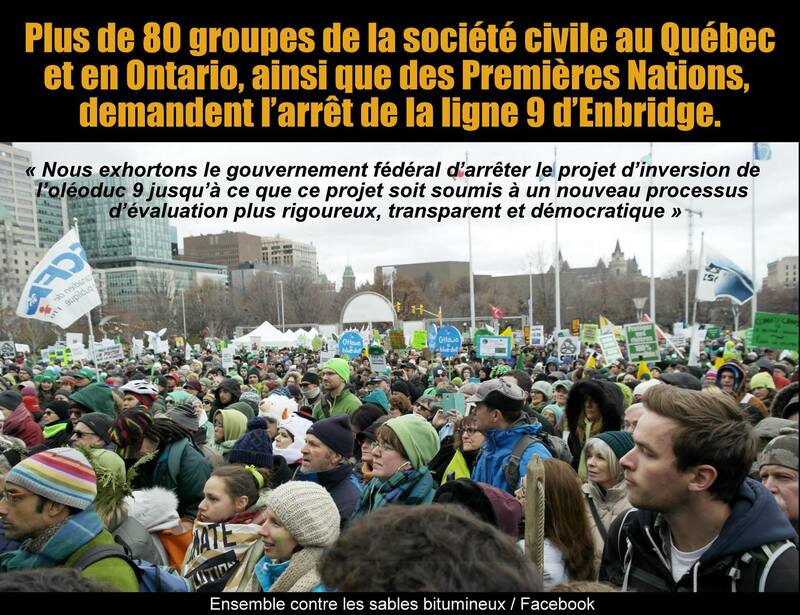 The Enbridge Line 9 project puts the health of millions of people in Quebec and Ontario at risk by threatening the drinking water of numerous communities. This 40-year-old pipeline crosses multiple rivers and major watercourses in both provinces, including Lake Ontario and the Ottawa River.